Brian De Souza, a fresh-faced up-and-comer represented by New York Models, is the star of my newly-released fashion editorial for Vanity Teen Magazine. 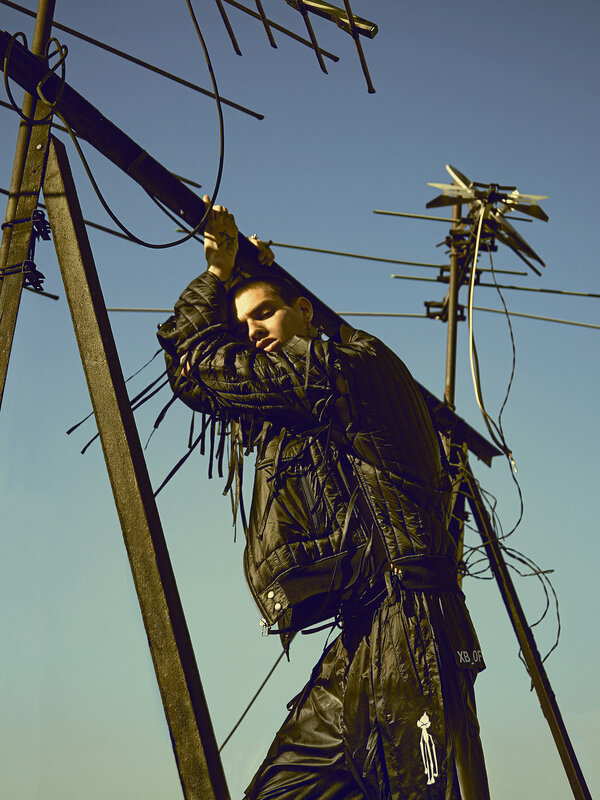 Hailing from Peru, De Souza's unique personal style, combined with his eccentric personality, served as a direct inspiration for this shoot's edgy vibe and aesthetic. Who would have thought my Hell's Kitchen apartment building's rooftop could possibly be transformed into the spitting image of an apocalyptic movie set? But, that's exactly what visually transpired through the camera lens of the incredibly talented Peter Tamlin. 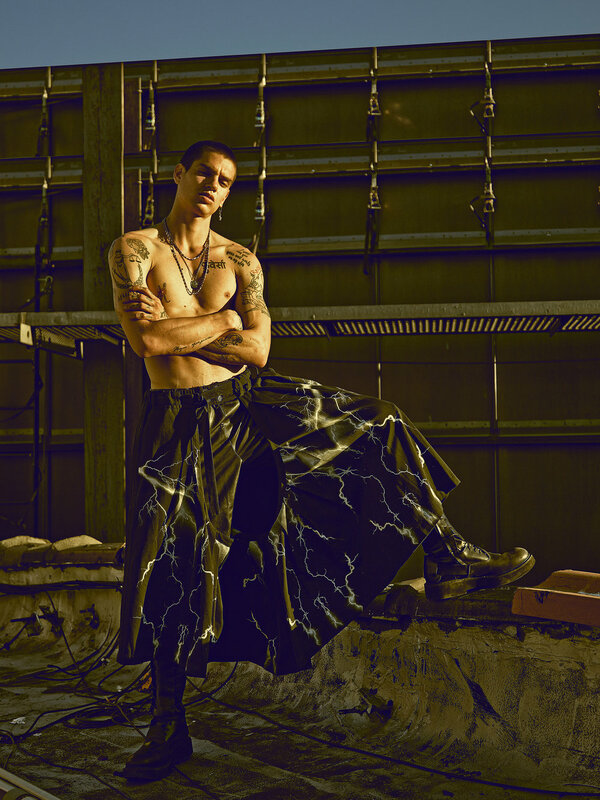 This dynamic 12-page fashion story perfectly captures De Souza posing in a variety of important designer looks. Plus, thanks to the addition of groomer Anthony Joseph Hernandez, it's safe to say our creative team successfully collaborated on producing a story of visual splendor.